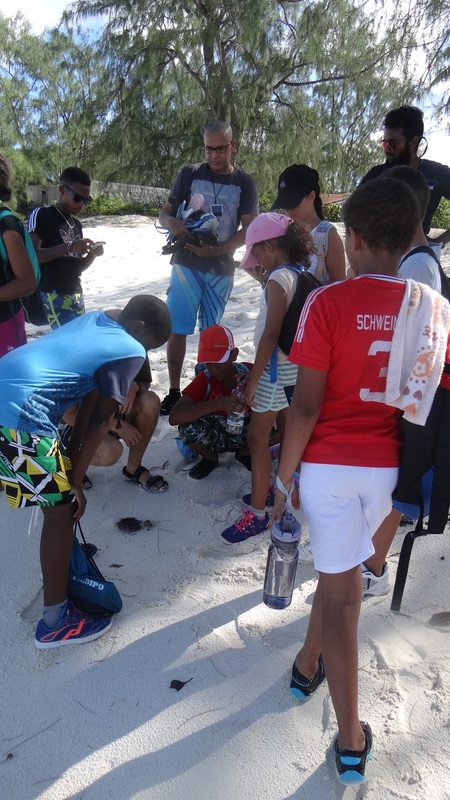 (Seychelles News Agency) - Still filled with excitement and with lots of stories to tell, a group of students has returned from a five-day trip to the Aldabra Atoll. 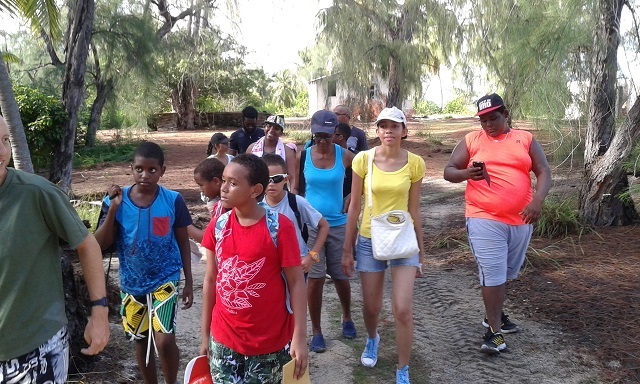 Eleven students and their teachers went on the trip, which serves as a prize for winning the eco-school competition. 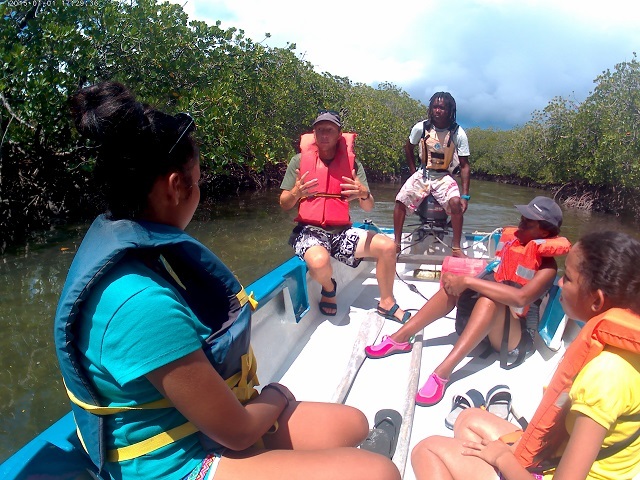 The students come from Anse Etoile, Baie Lazare, Anse Royale, Beau Vallon, English River and Plaisance schools. 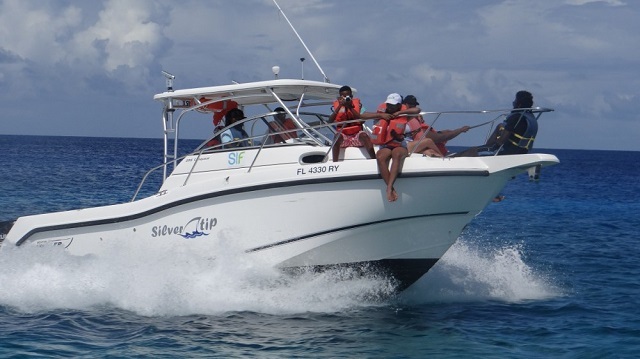 SNA spoke to four students who got to live a dream shared by many Seychellois. 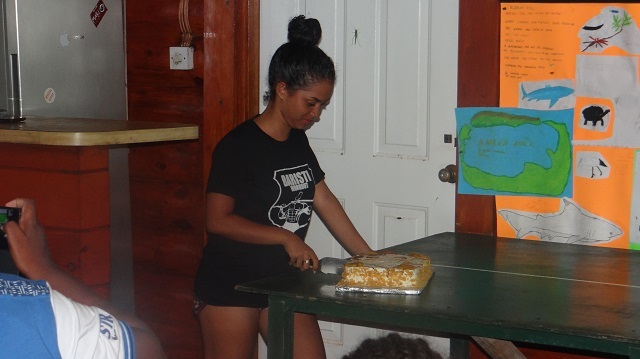 Nathalia Lawen from Anse Boileau Secondary School turned Sweet 16 last week, and memories of her birthday on the world-famous atoll is one she will carry with her forever. 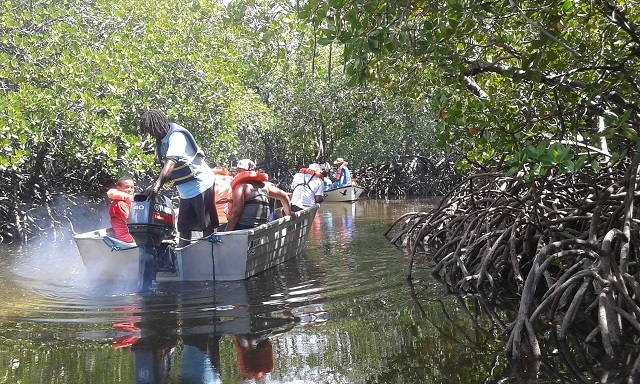 Lawen commended and congratulated the staff of the SIF for the work they are doing to conserve the world heritage site for the future generation and for the world. 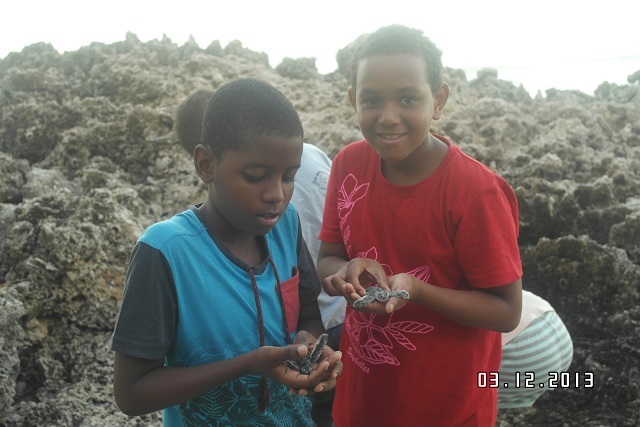 Lawen, who aspires for a career in environment, says that working on the atoll will be a dream come true. 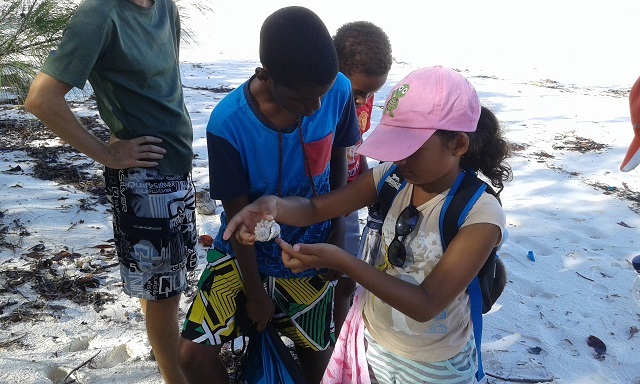 Lawen told SNA that not all her memories of Aldabra are happy ones, recounting how after helping turtle hatchlings found their way into the sea, she was horrified to see these them being eaten by sharks. 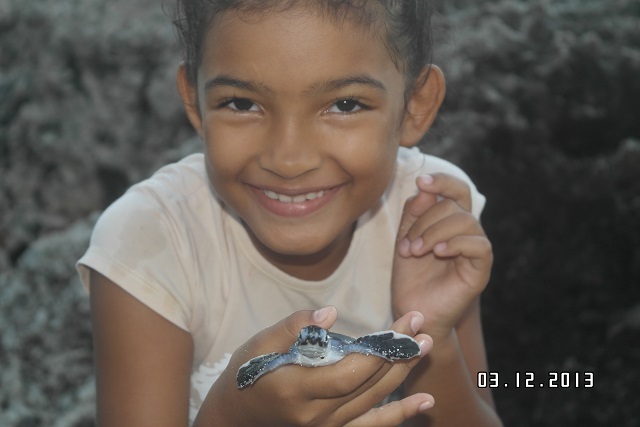 Another sad thing she witnessed was the land tortoises who had fallen in the deep holes found in the corals, with no water and if they are not found and rescued on time, they die. 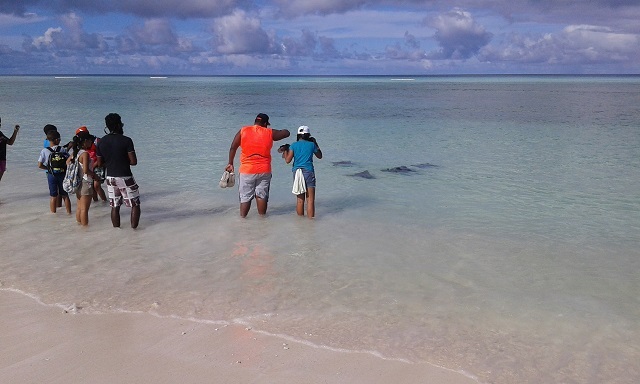 Vanerick Esparon from Baie Lazare Primary School was happy to tell his experience on how on their way to the atoll they were met by a group of dolphins, normally a scene from movies and documentaries. 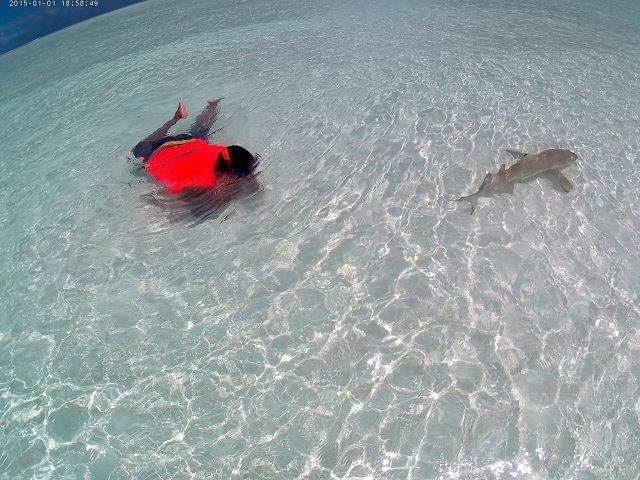 “Seeing them so close was something really amazing. 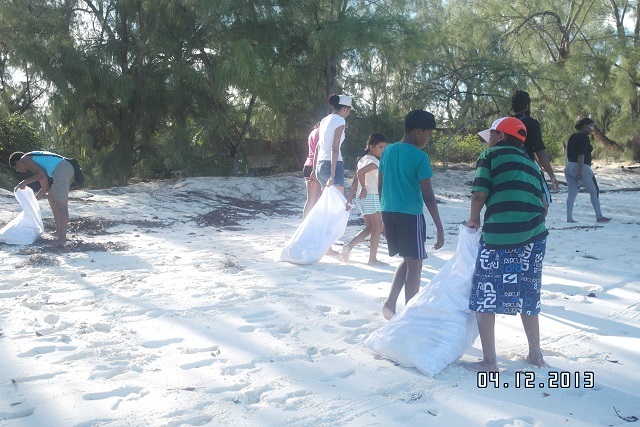 I was also very happy to see turtles laying their eggs and the hatching of little turtles,” said Esparon. 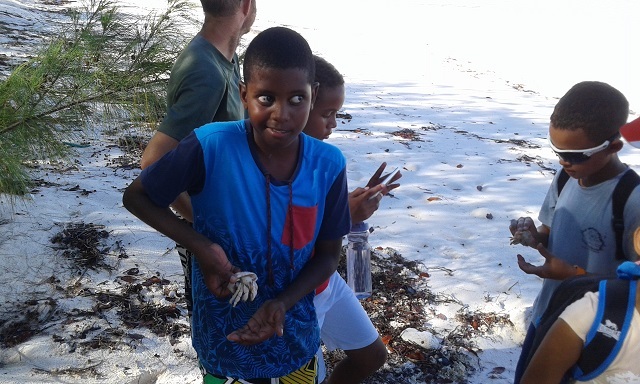 The youngest member of the group at 8 years old, Cheyenne Noddyn-Bristol from Anse Royale primary, participated fully and actively in the three days spent on Aldabra. Age for her was not a barrier. 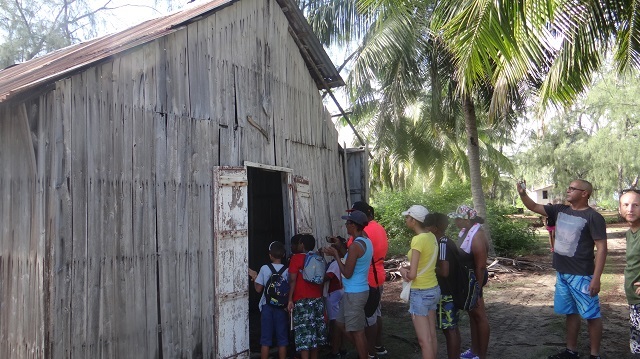 “On Picard (situated west of the atoll), we visited the old settlement and I was amazed with the ruins especially that of the old church and the houses. 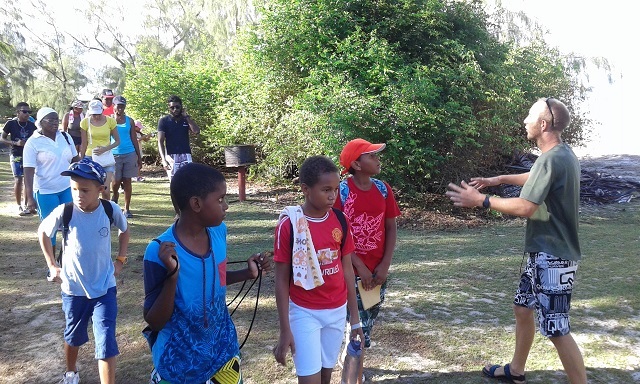 I also took part in the mud turtle tracks monitoring,” Noddyn-Bristol told SNA. 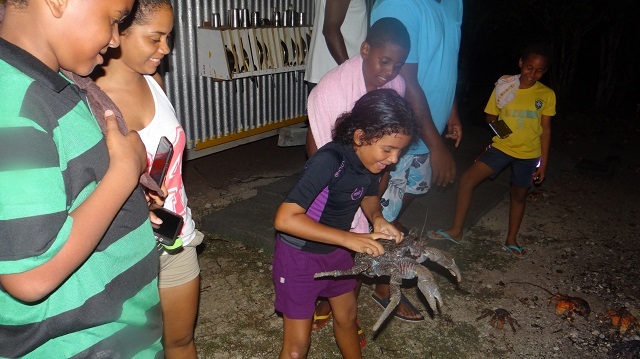 For Jean-Yves Mancienne, the highlight was the night expedition where the group got the chance to monitor coconut crabs, locally known as sipay. 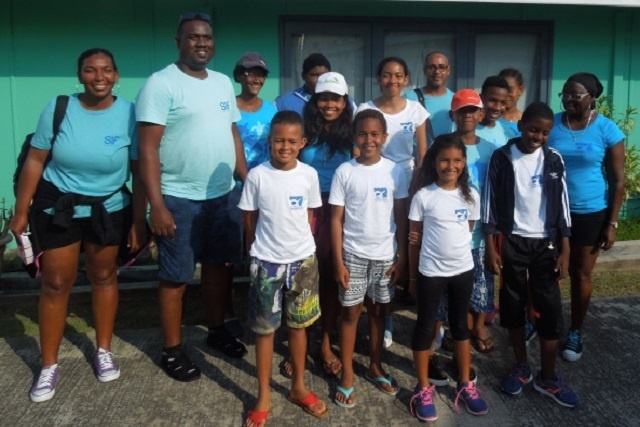 Mancienne said he also enjoyed the different educational activities where they had to draw and write about the different educational things they saw. 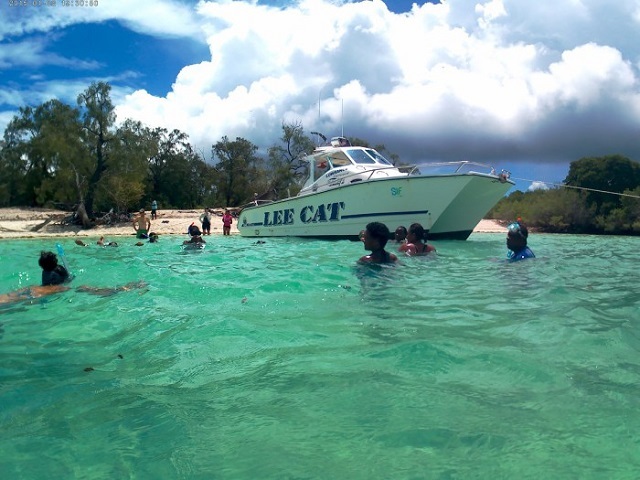 Another fascinating discovery for the group was the Bassin Morel, a basin which once the inside is full of water, the outside is dry and vice-versa. 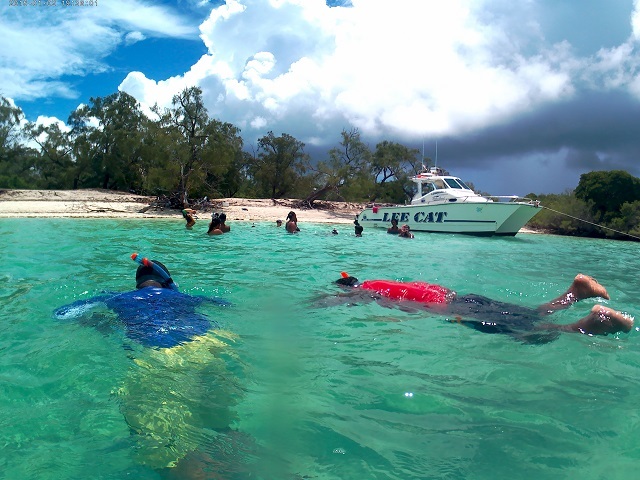 All of the students agreed that snorkelling and interacting with the juvenile sharks at La Gigi were the activities they enjoyed the most, not to mention the trip to Point Tanguin, where the focus was on seabirds, especially the frigate birds. 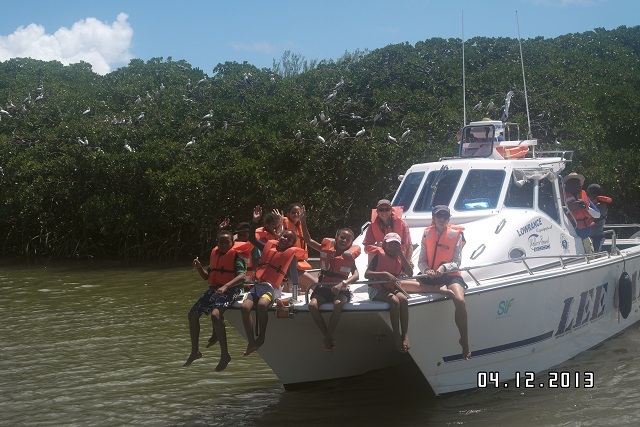 Aldabra, a UNESCO world heritage site, has the second-largest breeding colony of frigate birds in the world.